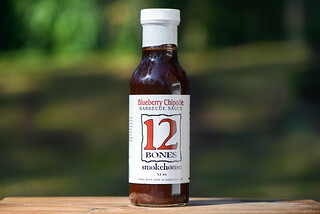 Continuing the trend of sauces with a light, fresh flavor, Sweet and Spicy adds a little more sweetness into the Country Chef line, yet doesn't quite deliver on the heat. This is the third sauce out of six that I've tried in the Country Chef line. Like the original and chipotle versions that came before, sweet and spicy continues Chef Mike Espy's dedication to creating sauces with high quality, fresh ingredients, while keeping the cost low. All of his sauce can currently be purchased through special order on his Facebook page. 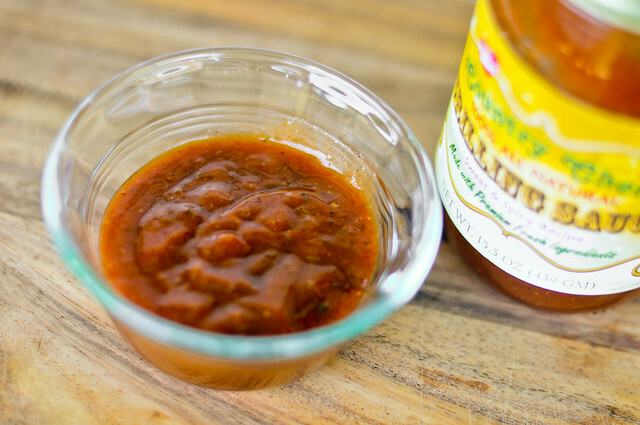 The first smell of this sauce brings a mellow vinegar tang, that comes along with a faint sweetness. Just like his other sauces, you get a nice aroma of fresh vegetables, with tomato being the top contender, but coming along with note of celery, garlic, and onion as well. This medium-thick sauce has a very textured consistency—it's heavy on the chunks of fresh veggies. It has a rusty orange hue that's light enough to show a fair amount of spices. Held off a suspended spoon, the sauce first falls in one big glob, followed by a couple smaller ones, with a fair amount of the sauce left clinging. This sauce continues the same flavor profile as the previous two I've tried—light and fresh, with a distinct garden feel. There is a bit more sweetness here though, with brown sugar adding a mild molasses component. The fresh and sweet hit first and pretty much stay throughout the entire experience, but a slight vinegar and spice come out at the end, although neither become dominent flavors. The chunks of veggies adds a pleasant texture to sauce, further lending a hand in the "freshness" department and creating the interesting array of flavors that meld together very well. 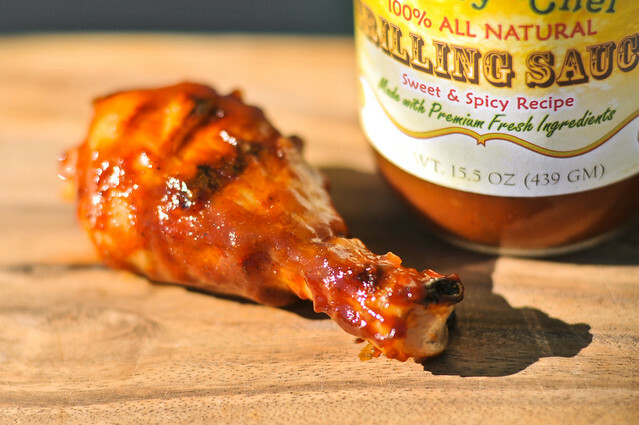 I had some issues with this sauce baking into the chicken, with the leg requiring a final coat at the end to make up for sauce that had not clung well enough. The cook also ended with almost no caramelization. Despite that, the flavor was still there. 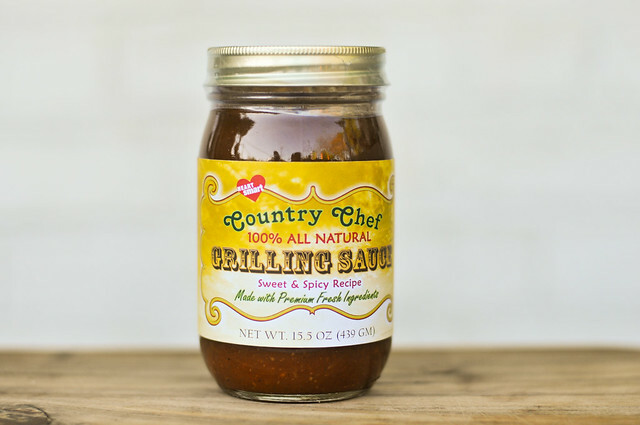 This sauce still delivered on the fresh flavor I've come to know with Country Chef, with a hint more sweetness than previous sauces, but very little heat. While I've come to enjoy the Country Chef sauces for their unique fresh garden flavor, the variations between sauces has been minimal. 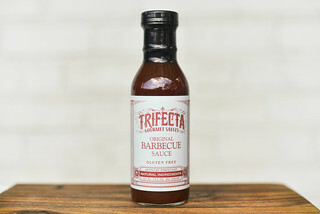 Labeled "Sweet and Spicy," this sauce does give a little more sweetness than previous ones, but the heat isn't there. Taking that into consideration, along with some issues with the sauce not baking into the chicken, I've dropped the sauce just a point. That being said, it's still a great sauce that has a nice overall flavor that paired great with the chicken. 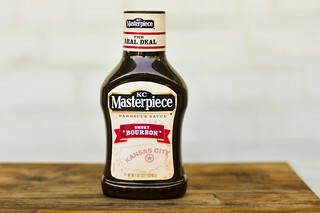 So I can recommend using it, but for those looking for real sweet, or real heat, this sauce comes up a short in those advertised departments.